Kristie Gatto, MA, CCC-SLP, COM received her bachelor’s and master’s degrees from the University of Houston in Houston, Texas. She has worked as a speech-language pathologist in the public and private school systems, skilled nursing, rehabilitation and children’s hospitals, and in private practice. In 2004, Ms. Gatto became the co-owner of a private practice in Northwest Houston and began her journey in treating children with pediatric feeding disorders. After years of searching for answers in traditional feeding approaches, she underwent training in the field of Orofacial Myology and became the first certified orofacial myologist in the city of Houston in 2011. Ms. Gatto is currently the owner of The Speech and Language Connection, which has two offices in the greater Houston area and employs 21 speech-language pathologists with various specialties. 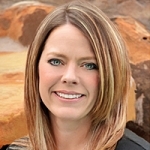 For the past ten years, she has focused her clinical skills on treating patients with issues in feeding, dysphagia, deglutition, oral sensory aversion, orofacial myology, and swallowing- related disorders, as well as articulation, phonological processing, apraxia, and early childhood intervention. Ms. Gatto is a member of the American Speech-Language-Hearing Association (ASHA), International Association of Orofacial Myology (IAOM), American Academy of Private Practice in Speech Pathology & Audiology (AAPPSPA), Texas Speech-Language-Hearing Association (TSHA), and Houston Association for Communication Disorders (HACD). Additionally, she serves on the board of directors for the IAOM and AAPPSPA and the Community Advisory Board for the University of Houston. Babies are born with lips, tongues, jaws, cheeks and reflexes that were designed for natural acquisition of skills in feeding, drinking, facial expression and, in speech. Oral motor patterns are the functioning of these structures, whereas, the reflexes are the infant’s mode of survival. These skills occur naturally when the oral structure is intact. When abnormality to the anatomy occurs, maladaptive movements are created and compensatory strategies are learned. The infant, child, or adult modifies their muscle functioning to eat, drink, and speak that directly affects the appropriate integration of higher skills during these feeding milestones. This session will address the normal and abnormal oral motor patterns, feeding milestones and the natural integration of the reflexes.